Woo Hoo! Thank-you Reseda Renaissance! This week the Academy was presented with the proceeds of the Reseda Studio Tour fundraiser – an exciting $1,000!! Spike Dolomite-Ward delivered the gift to the coordinators. This is in addition to the $140 that was raised by student-sold tickets and donations, so the November first event was by all measures a GREAT SUCCESS! 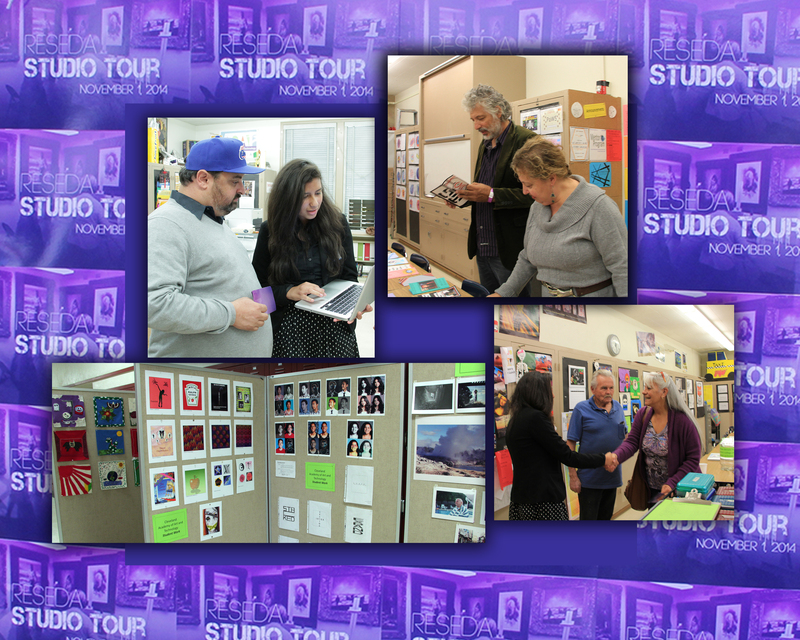 We gratefully thank the artists of Reseda for choosing AOAT as the recipient of their first studio tour. We promise to put the money to good use in support of students at Cleveland High School! 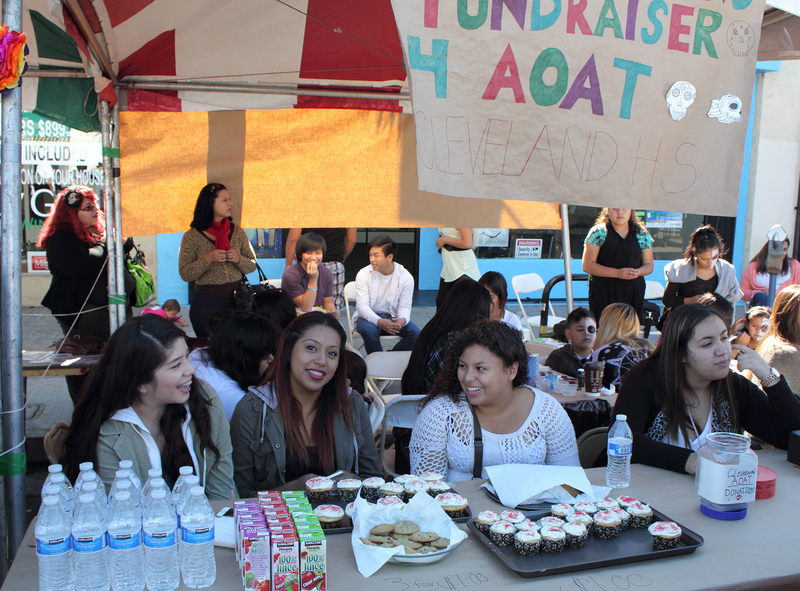 November 1st was a busy day for AOAT – first we participated as a stop on the Reseda Studio Tour, then students volunteered at the Canoga Park Youth Art Center’s annual Day of the Dead Festival. 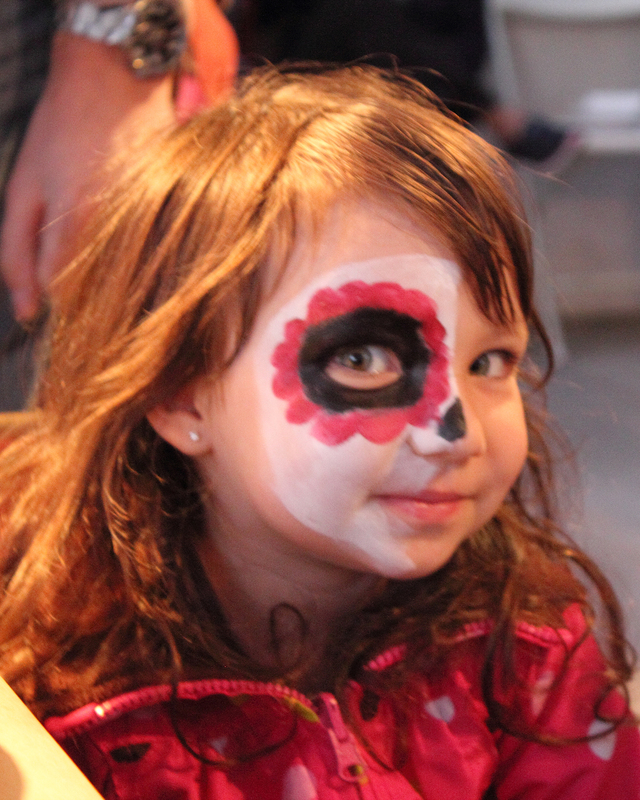 We provided free face painting and helped with other crafts for the throngs of families who attend every year. 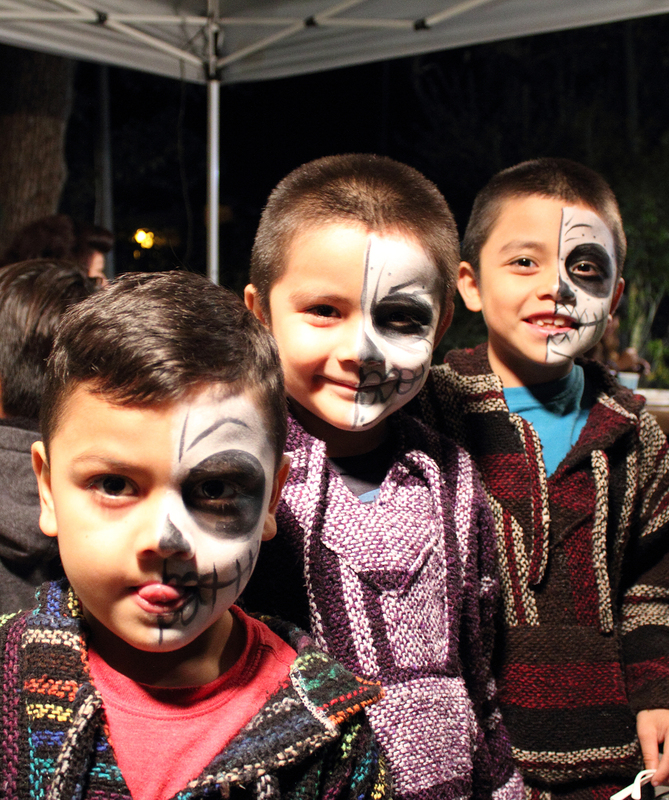 Then on Sunday, AOAT manned a booth at the Canoga Park Day of the Dead Street Festival, painting faces and selling baked goods as a fundraiser. These latter events are a favorite activity every year, with Ms. Rosillo teaching students how to paint authentic skull faces and supervising them at both venues. The payoff is the fun and fulfillment of watching the children – and parents – who line up for their special face creations. Students earn community service hours, but really they do it for the good feeling of giving back to our neighborhood. Art Club Creates Another Winning Float! Those talented Art Clubbers outdid themselves once again this Homecoming season: last Friday’s parade entry was by far the most fantastic in the lineup, and one of the best they’ve designed ever! 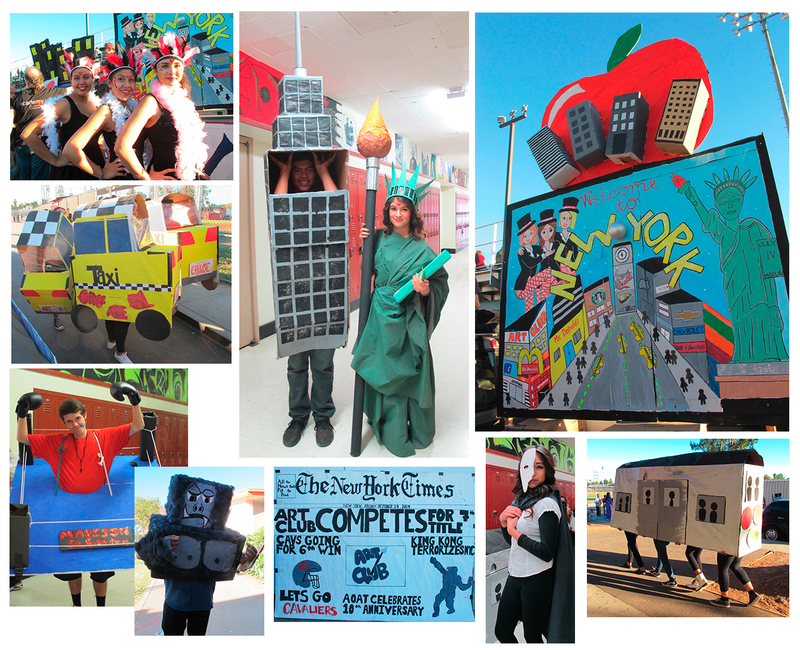 Art Club president Arantza led the crew to build an action-packed version of New York, New York – complete with taxis, subways, Rocketts, King Kong, Empire State building, Boxing and Baseball – and a very Big Apple. Students worked late hours and constructed amazingly colorful costumes and props out of paint and cardboard. Did I mention the Statue of Liberty? and Conan O’Brien? and fossils from the Natural History Museum?? Go Art Club – you just get more out there every year! And also a special thanks to the teachers who stayed after hours to support them.